Andretta is one of Himachal Pradesh’s best-kept secrets. It is an artist’s village near Palampur, with the Dhauladhar Range as the setting. We came to know about Andretta in terms of the pottery studio here – Andretta Pottery. They would routinely exhibit amazingly artistic ceramic ware in Delhi NCR. 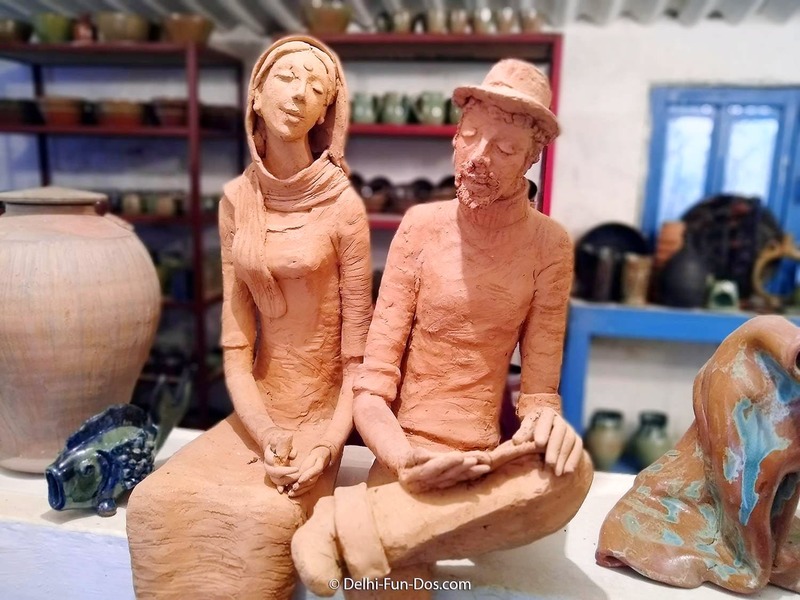 Consequently, Andretta Pottery was in our bucket list but we had no clear plan as to when this would materialize – till we actually visited this place recently. Andretta was a little known Himachali village when the Irish actress Norah Richards came in 1920 and established an artist’s village. The pottery centre came up later. And we were surprised that it was a very unassuming setup. The pottery shed when we entered had a group of tourists sitting on the line of potter’s wheels and trying their hand at pottery. Andretta Pottery has this cool system where any tourist can do 15 minutes or 45 minutes pottery sessions under the guidance of trained potters there. Ceramic pottery apparently is a de-stressing activity. And what could be better than trying the art first hand? Some of the items made here by the seasoned potters are sold in a room inside the premise. We could not resist anymore and bought some souvenirs in Andretta Pottery’s signature style – Rangoli design painted plates, bowls and trays in cobalt blue, moss green and maroon. We also loved the man-woman sculptures sitting on a window on one of the inside walls. They also had some abstracts pieces on sale. Visiting Andretta Pottery was a dream-come-true. And a humbling experience. It is so motivating to see such great yet unsung work happening in unknown corners on India.